The EFL has announced dates that could reluctantly be added to United fans' diary. The EFL has confirmed dates for this season's Championship playoffs - which Sheffield United will be hoping to avoid. Chris Wilder’s side sit just outside the automatic promotion spots, however stand within a good chance changing that. 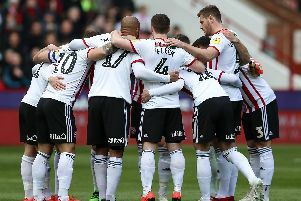 Just three points separate the Blades and second-placed Leeds United, and the EFL has announced dates that could reluctantly be added to United fans' diaries.